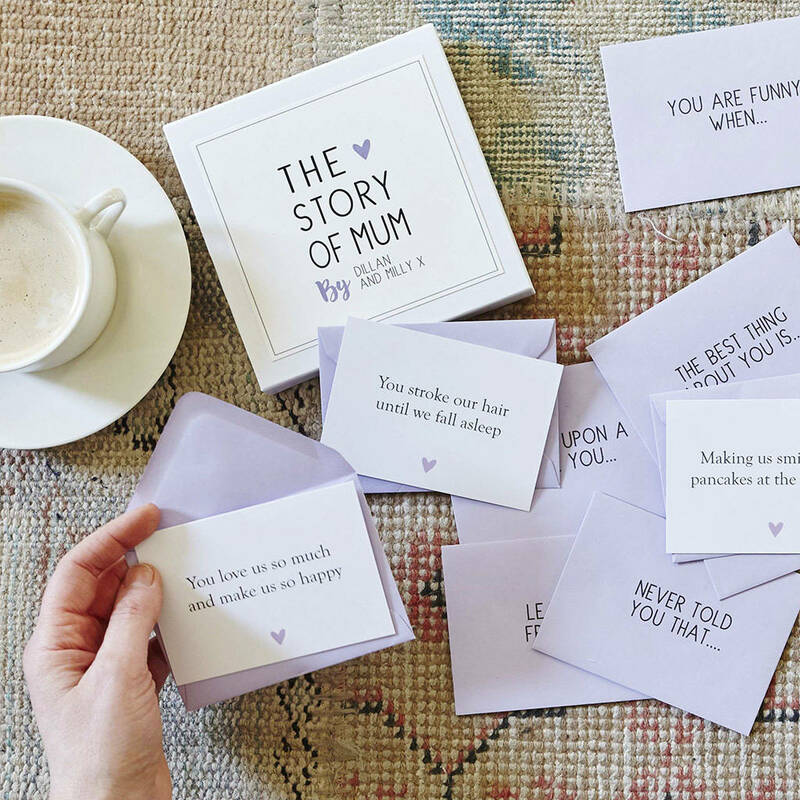 Tell the story of your Mum with this delightful 'The Story of Mum' messages gift box. 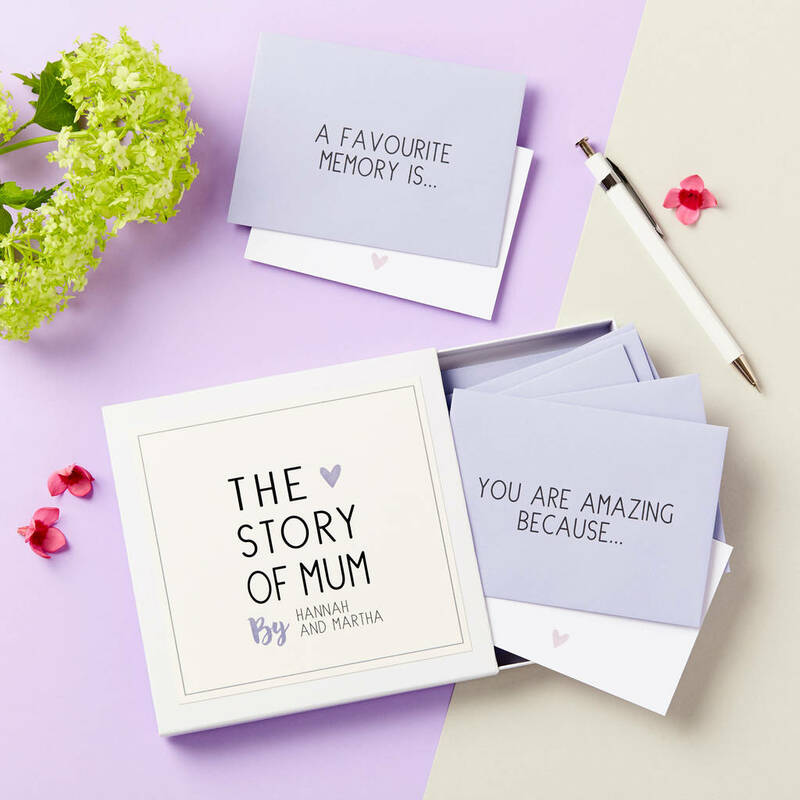 Inside the personalised box are 10 envelopes with prompts for you to share all about your Mum and little notecards inside to fill out. For example, 'You are amazing because...' or 'A favourite memory is...'. 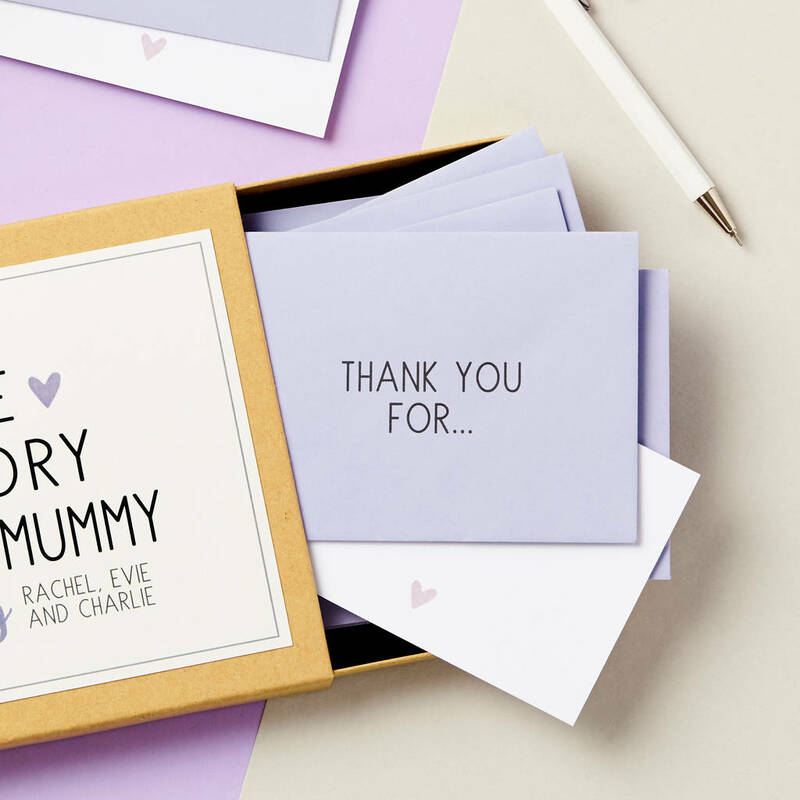 The box can say 'Mum', 'Mummy' or whatever you call your Mum, and the prompts work whether the box is from one child or all the children! 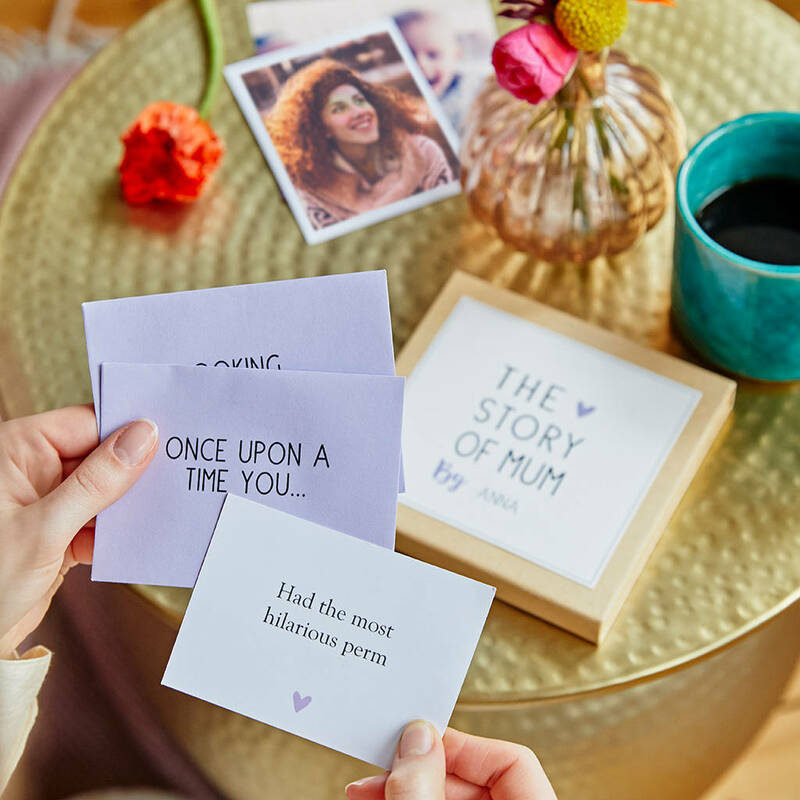 A brilliant keepsake Mother's Day gift that is both fun and nostalgic. 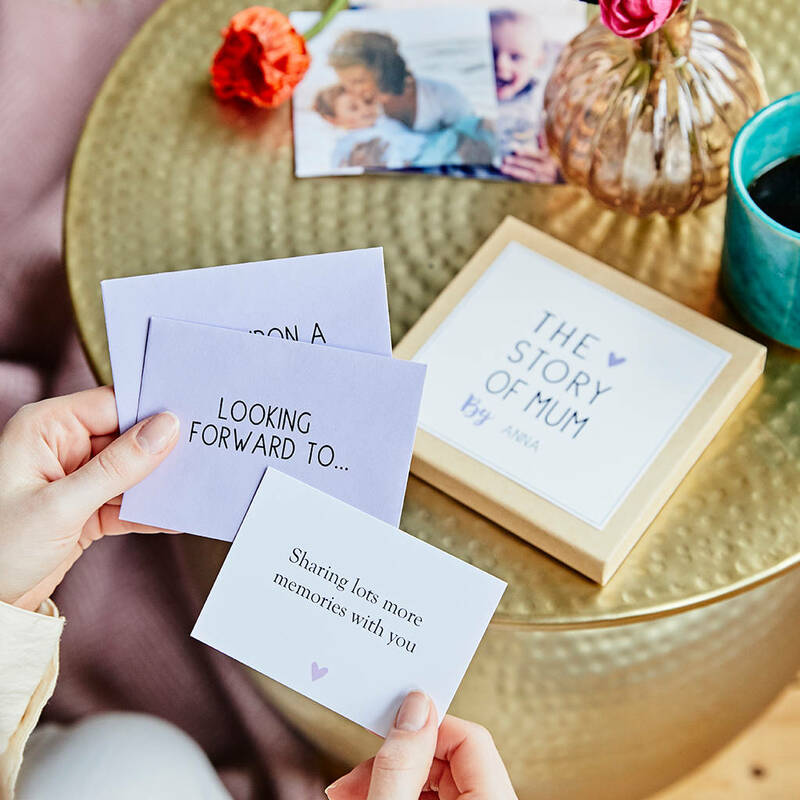 Mum will love to discover what you have included in each one! You can choose from a white or natural-coloured personalised presentation box. We can either print your story messages on the note cards, or you can have them blank so you can handwrite them yourself. This charming box of love has been lovingly handmade in our studio in West London. 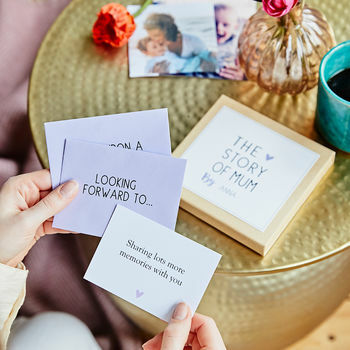 The message cards are printed on high quality thick card and are packaged in printed red envelopes in a luxury white or natural-coloured presentation box. To ensure we are doing our bit for the environment, the box is made from fully recycled card and the love note card is sourced from sustainable forests. Your box will be protectively packed to arrive in perfect condition. 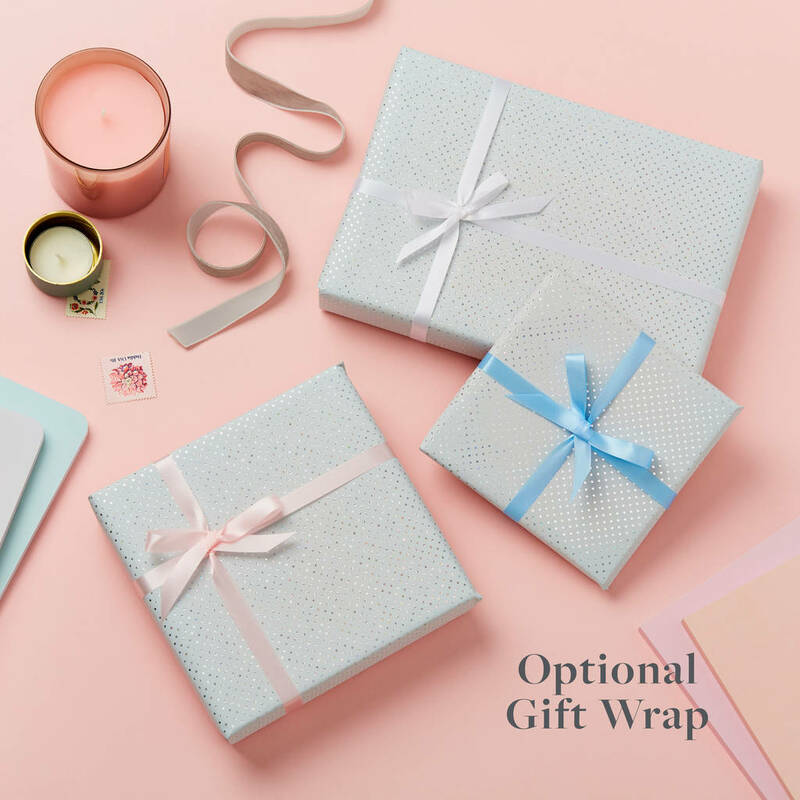 We also offer free gift wrap - please choose this at checkout, where you can also add a gift message (which we'll attach on a gift tag) if the box is to be sent directly to the recipient. The message cards are approximately 7.4cm x 10.5cm in size and the presentation box measures 13.5cm x 13.5cm.